John Keats lived for twenty-five years, from 1795 to 1821. He is considered one of the great Romantic poets, along with Wordsworth, Coleridge, Byron and Shelley. Unlike those other poets of his era, most notably in contrast with Byron and Shelly, Keats was a middle-class commoner, whose parents were inn keepers, a factor that affected his outlook and reception as a poet. Keats and his two brothers attended a progressively-minded school and received an education that included Latin, but not Greek, a language taught at upper-class schools. Keats’s life was marred by a succession of sad events, thus he wrote that he had hardly known any days of ‘unalloyed happiness’. His father died while Keats was a child, after which his mother fell into various forms of degradation and finally succumbed to tuberculosis. Keats nursed her through the final stages, as he would also do for his youngest brother, Tom, years later. Still in his teens, Keats apprenticed to become a surgeon, made his gruesome rounds as an assistant at Guys Hospital in London, passed his exams, and then quit the profession to devote himself to writing poetry. His small inheritance allowed him the attempt, but kept him on the verge of destitution. Keats had encouragement in his poetic endeavors from literary friends and from publication in periodicals published by acquaintances. His own incredible belief in himself as a poet, which he held despite negative critics, served as his greatest encouragement; even at his nadir he thought he would be among the great English poets. He was able to secure a publisher for his work, Endymion, which turned out to be a commercial and critical failure. His second volume promised a better reception, but he died before he knew any success. Like his mother and brother Tom, Keats contracted tuberculosis. He made the extremely arduous journey by ship to Rome for a better climate, accompanied by a friend, Joseph Severn, died there in a small apartment at the base of the Spanish Steps and was laid to rest in the Protestant Cemetery in Rome. Keats is best known for his Odes and the opening stanzas of Endymion. He also composed, in his rather prolific oeuvre, several sonnets, some richly visual and wildly imaginative longer poems, such as Lamia, and an epic poem Hyperion. In addition to writing poetry, Keats wrote letters that cannot be overlooked by anyone interested in his work, life, or milieu. (These are particularly interesting because they showcase Keats’s remarkable ability to coin new nonce words, among them ‘delightcious’, ‘cheery-brandy’, ‘jeapardy’ (jealousy and jeopardy? ), some fifty years before Lewis Carroll. For more on this, see Christopher Ricks, Keats and Embarrassment.) In 2009, the Jane Campion film Bright Star, detailing the last three years of Keats’s life and his ‘relationship’ with Fanny Brawne, appeared. My research, described below, took as its point of departure a particularly arresting statement in his letters. The words to his dear friend, Charles Brown, in his valedictory letter about the use of his philosophy compelled me to investigate exactly what he meant—what was his philosophy, how did he come across it, and how did it affect his poetry. My research into his biography, letters, and poetry culminated in the article ‘The Stoic Philosophy of John Keats’ and in the greatest reverence and affection for not only a literary genius but also for a genuinely good and likeable human being. Three months before John Keats died in Rome, he wrote his valedictory letter. He addressed his closest friend, Charles Brown, describing the toll consumption had taken and preparing Brown for news of his death: ‘There, you rogue, I put you to the torture; but you must bring your philosophy to bear . . .’ (John Keats, The Letters of John Keats, ed. H. Buxton Forman (London: Reeves & Turner, 1895; repr., Ellibron Classics, 2005), 519.) Taken alone, this advice might appear an off-hand comment; however, it was the last of many statements that Keats made about philosophy in his letters. 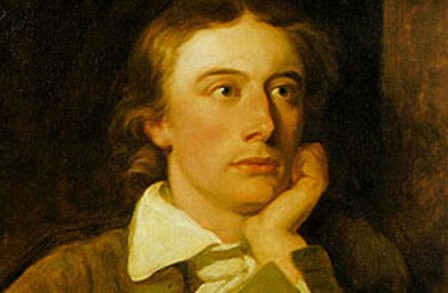 In his final days, as through his life, Keats did not believe that religion offered the way to reconcile oneself to adversity or that it revealed the mysteries for which the tangible world was the allegorical representation; for him, philosophy provided guidance for living and, if not an answer to the eternal questions, at least clues. Keats was interested in and valued philosophy second only to poetry and, well into his career as a poet, he even stated in a letter that ‘the human friend philosopher’ was more ‘genuine’ than a ‘fine writer’. Keats’s philosophy takes shape in his letters and surfaces at times in his poetry, and it is a philosophy that is at one with Roman Stoicism. I have identified Stoic ideas in his letters, in a number of his poems, and in his approach to life primarily to view Keats and his work from the new perspective that a comparative study affords. I have incidentally endorsed Stoicism: that Keats, one of the greatest and most revered English poets, suffered a life of hardship, pondered philosophical matters, and arrived at essentially a Stoic philosophy serves as a strong recommendation for that system–a philosophical approach to life that is viable for the present day. (For an example of one of many presentations of Stoicism for the present day, see William B. Irvine, A Guide to the Good Life (Oxford University Press, 2009).) Stoicism can be briefly defined as a program for achieving a tranquil life that finds value in adversity, promotes the use of reason to overcome emotion (because reason is the attribute particular to man), teaches the unimportance of external events, advocates moderation in all things, and views death as a solution, transition or end, since life after death is unknowable. Laura Inman is a Bronte scholar, former lawyer, writer, and aspiring Stoic. Her blog is thelivingphilosopher.wordpress.com, which features Stoic and literary ideas as a guide to living. Brilliant stuff. Love Yeats. I’m wondering if I can link the ideas of Stoicism with those of Zen Buddhism now! I’m not sure Stoics or Zen practitioners (well, certainly not Zen practitioners, in my narrow view) are anti-life, but the effort to become aware of each passing moment, the acknowledgment of its transitory nature, the determination to be present and aware but also to create a state of mind that accepts its own impermanence, these seem to be hallmarks of both systems. I’m also sure that simplicity is life affirming, that the ability to accept the hardships and difficulties that an austere life forces upon one, all these are elements of both sets of beliefs. It would be too generalising to draw parallels between every aspect of both systems but it would be interesting to show where parallels exist, as I think they do. i don’t know much about Buddhism, but I have also heard that there are similarities. Based on your comment the two seem very similar. It is interesting to trace fundamental ideas that appear in different systems independently of each other. The recurrence reinforces the validility of the ideas. One thing about Soicism is that apsects of it do it do pop up, such as in Christianity and in psychology. Keats had an interesting theory of negative capability. He formulated this expressly to settle the authorship of the Plays in favor of Shakespeare. Had he been as scholarly as Bacon or any other heavyweights of his time, he would not have ventured. Negative assessment of his own talents gave free rein to pen the plays that bear his name. Keatsian idea could be expressed in the proverb,’Fools rush in where angels fear to tread’. Visited the house at the bottom of the Spanish Steps earlier in the year, when you visit Rome it is a must whether you write or just enjoy reading. I have visited few, if any, places that have had as great of an impact on me as that apartment at the base of the Spanish Steps. To read his final words in the place where he wrote them; to see, from inches away, the place where he died and the bed (albeit a replacement period piece) made the experience so real and immediate. There is so much biographical information about him and much of it is right there. His friends thought he would be great and they took care to compile and preserve material about him for biographical purposes. Also he had frineds who were artists who painted him (including Severn who was with him in Rome); he had a life mask made of his face and a death mask. For me, who researched the life of Emily Bronte and found how very little material exists about her, finding all this about Keats was astounding. Next visit (and there must also be a next visit to Rome) I want to go to the Prostetant Cemetary. Many thanks for your comprehensive reply, I was overwhelmed on finding the house also, well worth a second visit without a doubt. Reblogged this on bloomy ebooks. Fascinating post and I’m happy to tweet it as this is the last week for National Poetry Month. “…Was it a vision, or a waking dream? Fled is that music:-Do I wake or sleep?” Ode to a Nightingale. I adore where Keats brings you in his poems. Excellent post. I’m also glad you reminded me of Bright Star, because I need to add that to my Netflix queue. I keep forgetting about it. the first time I saw Bright Star I was disappointed and then I grew to like it quite a lot. It is Fanny’s sotry more than Keats’s–which is really a good way to approach the material. Aside from a few anachronisms, it worked. The casting is perfect. I really like Ben Wishaw, who plays Keats, however— if he had only been made fairer. Keats had, and is well known to have had, golden curls and luminous blue eyes. Thank you for your thoughts. Thought provoking. Generally I do not spot on blogs, only I’d prefer to say that this post sincerely pushed me to make so! genuinely pleasant post.